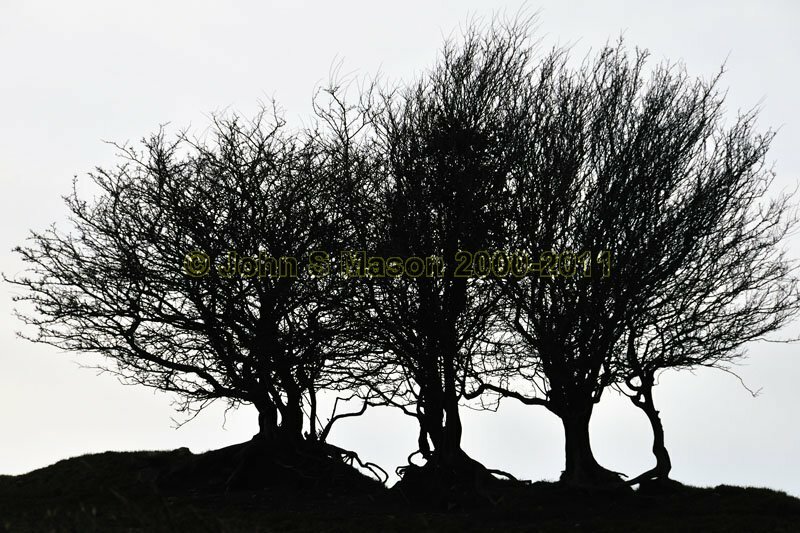 Above the northern side of the Dysinni Valley, gnarled hawthorns stand winter-back against the Westerlies. Product number 010912. Email me to enquire about this image: click HERE.